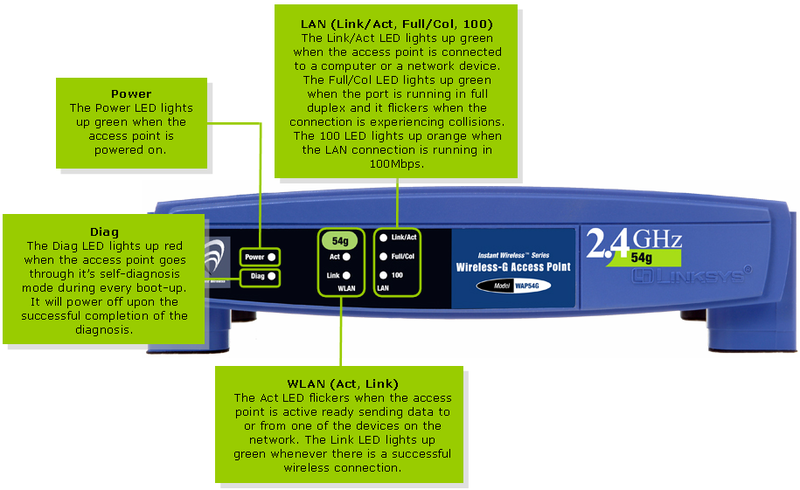 Has IEEE 802.11g that supports data rates of up to 54Mbps. It is backwards compatible with existing IEEE 802.11b devices. Has a Setup Wizard for easy installation. Supports Wired Equivalent Privacy™ (WEP). 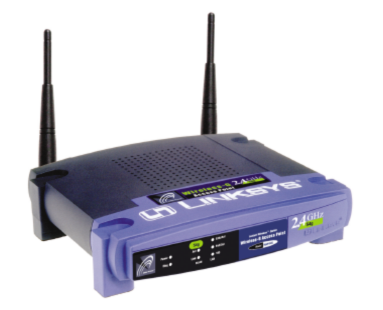 Supports Wireless Bridging, MAC Address Filtering, and Event Logging. Its firmware is upgradeable through a Web-browser. Uses a 5VDC 2.5A Power Supply Unit. 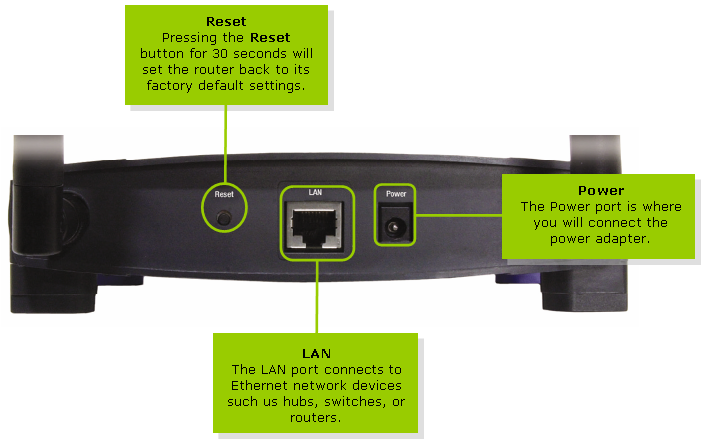 For instructions in configuring an access point, click here.